My youngest returned to university for the winter semester last weekend. 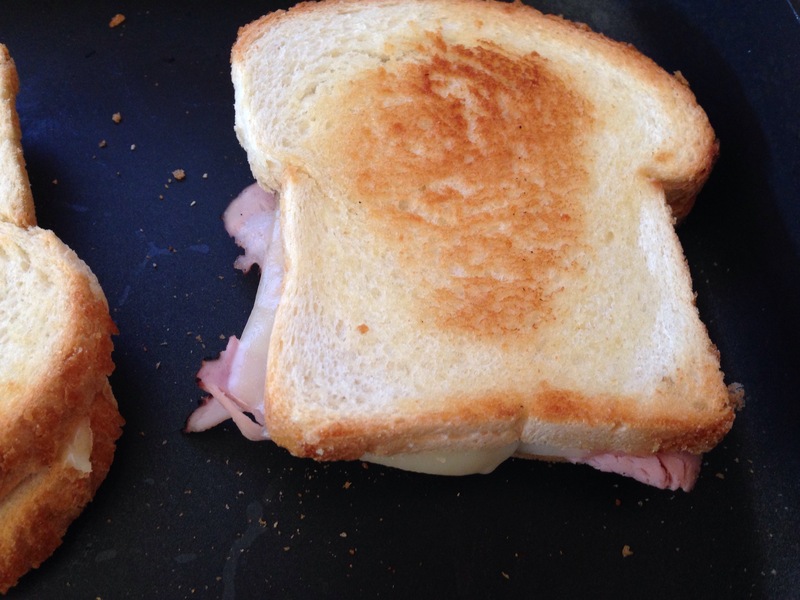 This was the sandwich she requested for her Bon Voyage. 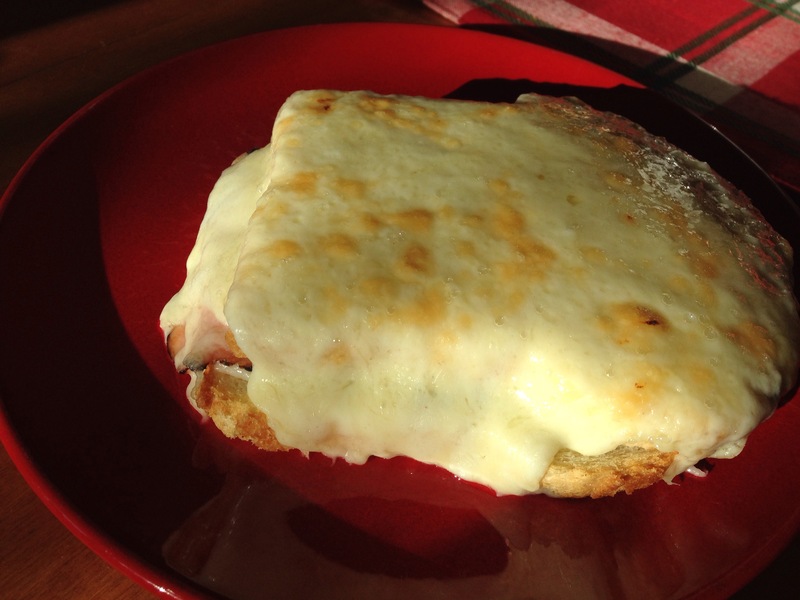 Croque Monsieur . Easy. This makes two sandwiches. 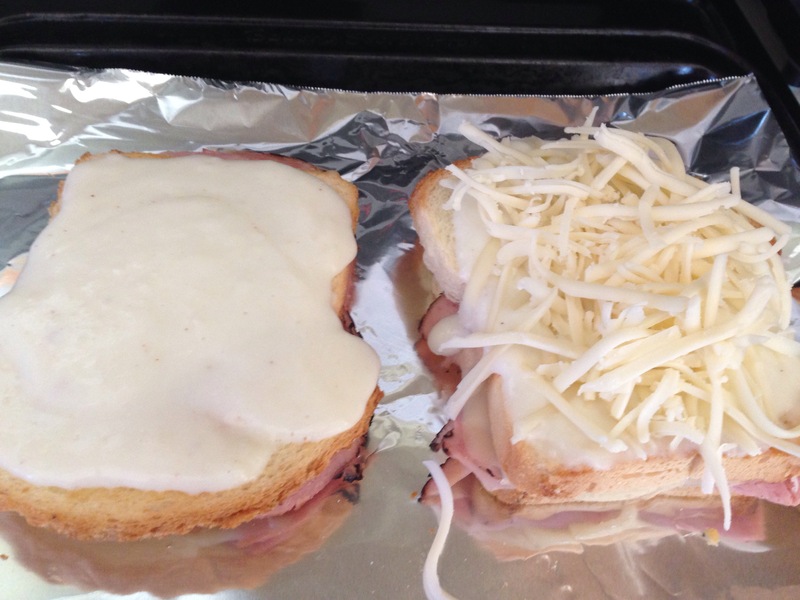 Make two grilled Gruyere and ham sandwiches. While those are browning, make a white sauce. Melt the butter in a saucepan. Add the flour and stir for a minute. Slowly whisk the milk into the roux. Add seasoning.